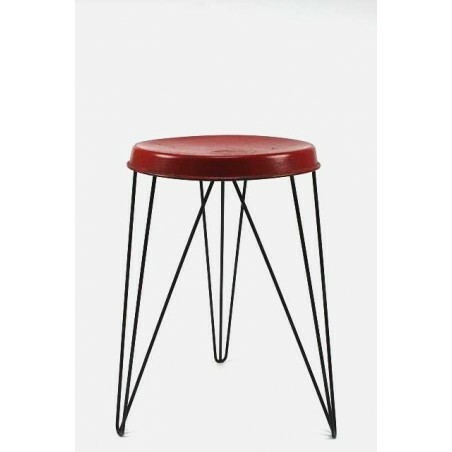 Dutch design stool designed in 1966 by Tjerk Reijenga for Pilastro. 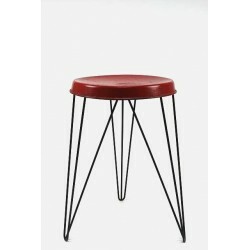 The stool has a red metal seat and a black wire metal base. 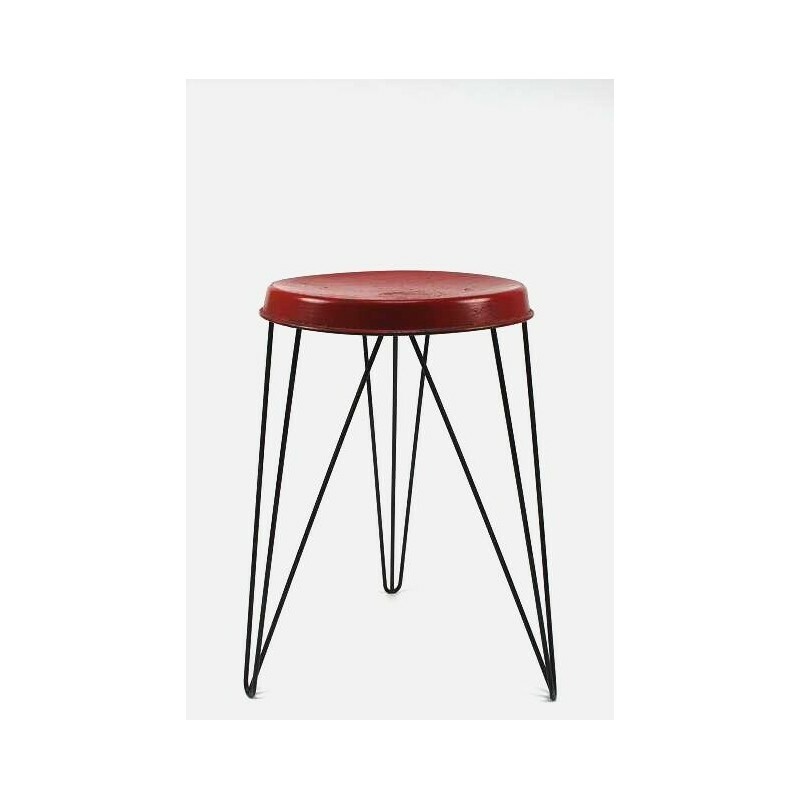 The dimension is 50 cm high and 30 cm in diameter.